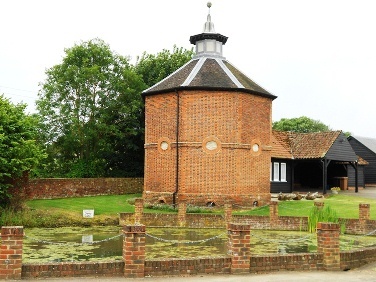 The Dovecote at Manor farm has been adopted as the WHS logo. 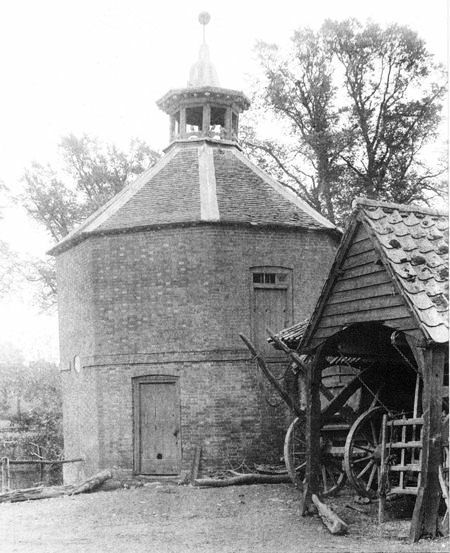 Until the Middle Ages the keeping of pigeons in a dovehouse, dovecote or Columbarium was a feudal right of the Lord of the Manor, but the privilege eventually carried down to other wealthy men so that from the 16th century they were in common use. Relatively few survive however. One of Walkern?s many listed buildings, our Dovehouse, was built around 1700 for Manor farm, previously known as Walkern Place. Pigeons were an important addition to the dinner table in the form of meat and eggs. Their feathers were also used in mattresses and their droppings as manure. Sometimes pigeons were used as quarry for falconry or as a target for shooting matches that were common in the 19th century.